Ford Endeavour – The True American SUV is going to complete its Three Years in India with a Facelifted Version in 2019. Known as the Ford Everest in other markets, the SUV has been in existence since 2003. Over the years, it has garnered love and respect all over the world due to its drivability, comfort, feature rich interiors, capable engines and the way it looks. The Facelifted Version changes will not only be limited to the cosmetic updates since Ford is expected to debut the 2.0-litre EcoBlue diesel engine, which will be very efficient and cost effective for Ford to competitively price the 2019 Endeavour. There will also be a new 10-speed auto transmission mated to this engine. Ford Endeavour has been a worthy Fortuner Rival since its launch in India. No other SUV has been able to match the character of these cars in their price bracket. There are only some minor updates to the looks of the Endeavour. In terms of size and dimensions, the facelifted version looks strikingly similar to the outgoing version. At the front, one can see a new triple-slat grille, a reworked bumper with lower air intakes, new six-spoke alloy wheels (could be 20-Inches, currently 18-Inches offered), the updated fog lamp housing and slightly revised bi-xenon headlights, longer and more prominent LED DRLs. 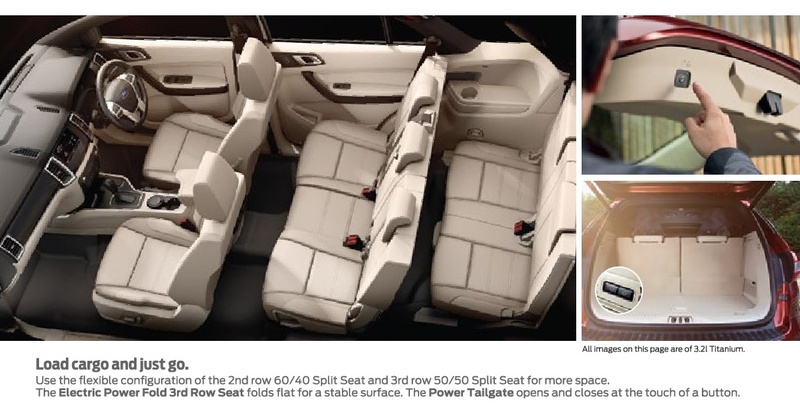 Ford Endeavour’s Interiors are comfortable and a nice place to be in. Dual tone Interiors will continue to be on offer. The new cabin will be more practical with lots of storage spaces at the front and the rear. The interiors will continue to give the feel of luxury with improved leather upholstery seating. 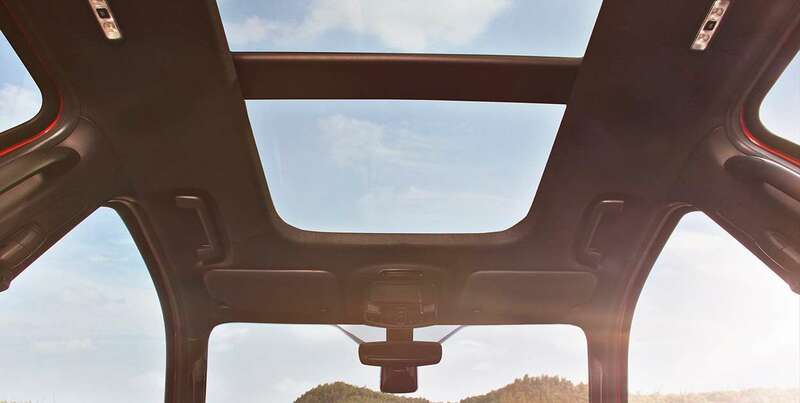 The new features that will make it to the SUV will be – Keyless Entry, Push-button start, Foot-activated power tailgate, Tire pressure monitoring system, hands-free power tailgate, and Ford’s 8.0 Inch SYNC 3 infotainment system with support for Apple CarPlay and Android Auto. Ventilated seats could also be offered as well. The Ford Endeavour currently offers 2 engine options – 2.2-Litre Diesel Motor that puts out 160PS of Power with 385Nm of torque, the 3.2-Litre Diesel Engine that puts out 200PS of Power with 470Nm of Torque. Both the Engines comes paired with a 6-speed automatic transmission. The Facelifted Endeavour will come with 1 engine with different states of tune. The 2-Litre Diesel Engine with Single Turbo putting out 182PS of power with 420Nm of torque and the 2-Litre Diesel Engine with twin-turbo putting out 215PS of power with 500Nm of torque. 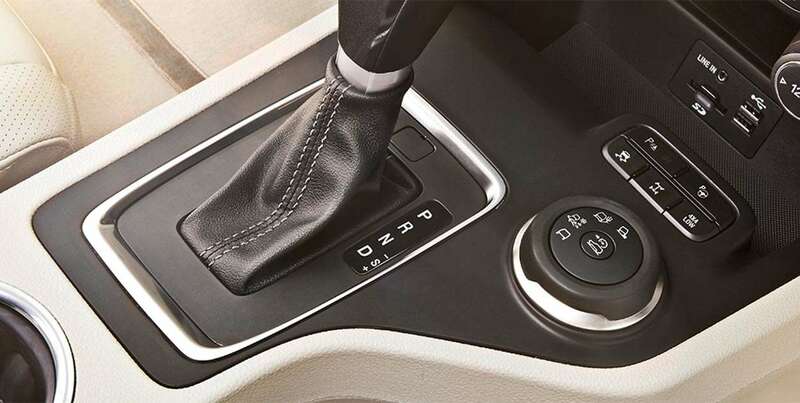 The Transmission will be the 10-Speed Automatic debuted with the same engine in Thailand. The New Engine is much more fuel efficient than the engines used earlier as well as is more powerful. The ride and handling will slightly change. 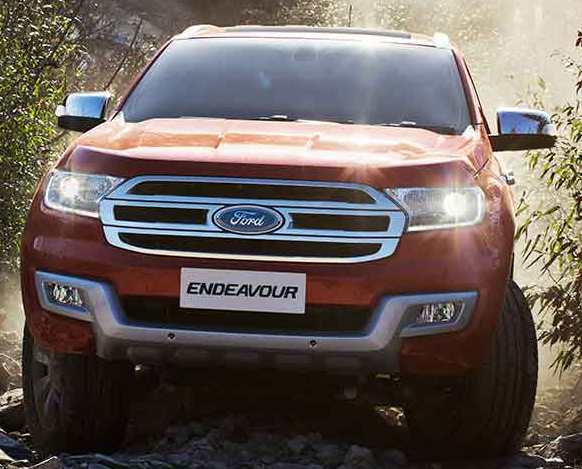 The Ford Endeavour doesn’t feel like an SUV to drive, with its light clutch it is more car-like. Steering feedback has been good and will improve in the facelifted version. There will be some amount of Body Roll as there is no change in design. Ford also claims to have improved the suspension setup for better on- and off-road comfort. Braking would be handled by Disc Brakes at the Front and the Rear. Brake feels surefooted and nice. Although, it could improve a little. 7 Airbags, ABS with EBD, Brake Assist, hill hold assist, hill descent assist, electronic stability program (ESP) and traction control (TC) will also be offered as a part of the standard safety kit. Dual zone climate control, Cruise Control, Push button start, Improved audio system, Radar assist, Lane Assist. The Endeavour since its launch has been praised by the Indian Buyers for its looks, performance, comfort, ride and handling. And the New Endeavour will continue to do the same. 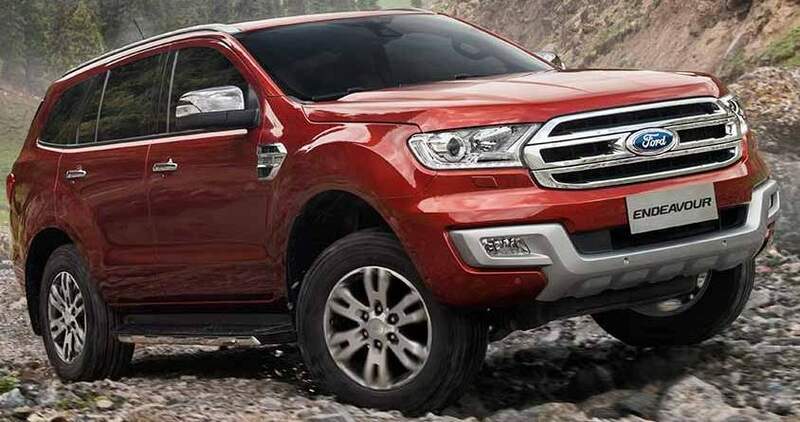 The Looks will have marginal changes since ford knows that the look of the SUV is intimidating, and the tough guy looks make its presence roadworthy.